All corners of the earth, even if the earth is round. The Cusco region is where you can find the city of Cusco and Machu Picchu, the ancient mountain city. 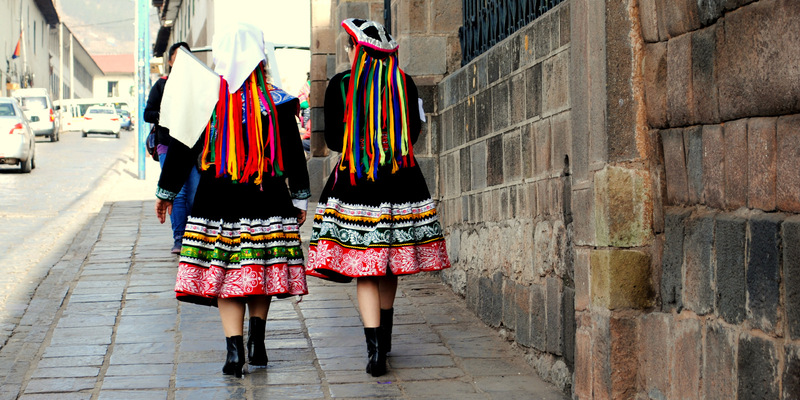 To get to the city of Cusco, you can take a flight direct from Lima. You have to take a taxi from the airport to your hotel, inn, or hostel. I called the inn where I would be staying and was told that it may be cheaper if get a taxi at the airport instead of having them ask a taxi to fetch me. I was told to choose from the ones that are outside rather than the ones arranged by the taxi booths inside the airport. This was a wrong advice. I was told it would be cheaper, but then it was actually expensive. The cab driver who seemed nice at the beginning began to sound angry when I asked how much the fare was. I was going to Poroy early the next morning to be able to catch the train going to Aguas Calientes. I asked the front desk that they choose a cab for me. (I checked online, and the other taxis charge higher.) The taxi driver that brought me to Poroy suggested that he pick me up when I return from Machu Picchu and I agreed. I think he had to wait for over an hour and only hesitated a bit when I gave the same amount for the return trip. So when he brought me to the airport, I gave extra.